Today, Shah Rukh Khan has completed half century on the pitch of life and all we want to do is wish him a Happy Birthday. A few months ago, @sarthakkher, a fan, asked @imsrk to help him in asking a girl out for prom, to which he replied that she won’t go with Sarthak if Khan asked her. 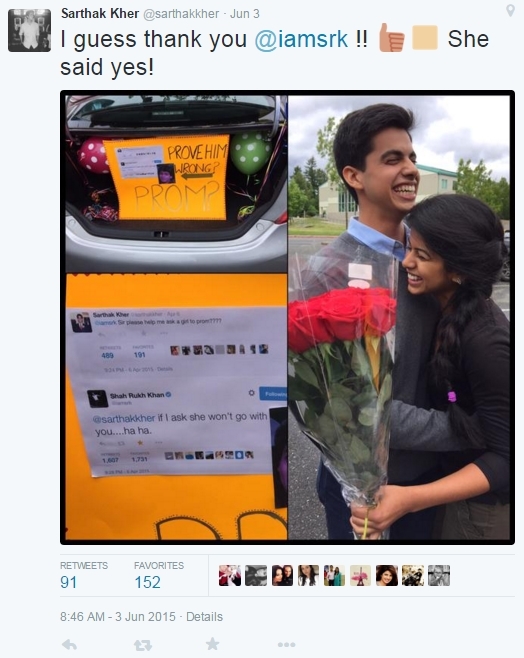 Later, Sarthak printed out the tweets and asked the girl to prove SRK wrong and she accepted his request to go to prom with him. 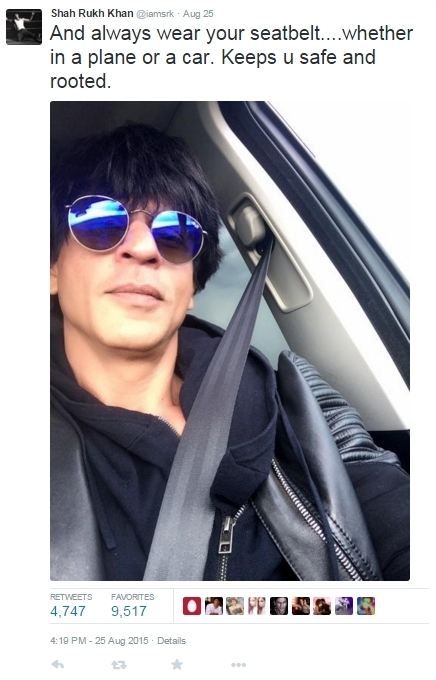 Shah Rukh Khan is popularly known as the King of Romance, but he has proved himself as the king of Twitter too! So, here is collection of his most recent tweets where he bestowed us with knowledge by being a teacher, preacher, friend, heartthrob and more. 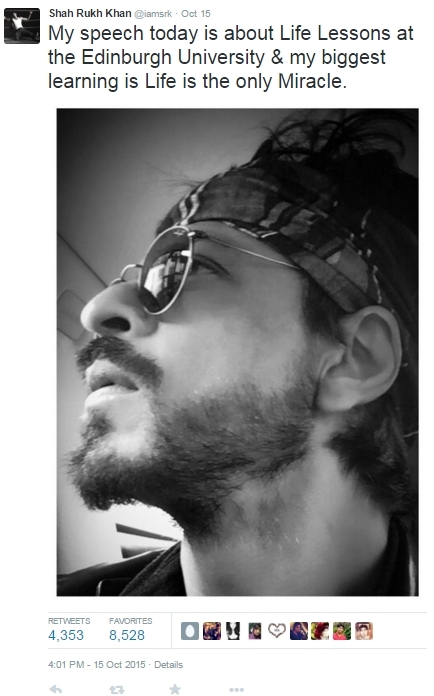 In his tweet about giving a speech at the Edinburgh University recently, Shah Rukh mentioned how his biggest learning in life has been a miracle. Shah Rukh has always used his experiences to teach us about life. His words have helped people who were lost. And he bashes the bad guys on Twitter too. He is known as the King of Romance for a reason. He loves, He respects. His love for his kids is an inspiration of a different kind. His creativity is not just limited to screen. This is perhaps one of the most important lesson he has taught us: Always wear a seat belt! Now this is where he proves, he is not that different from us after all! 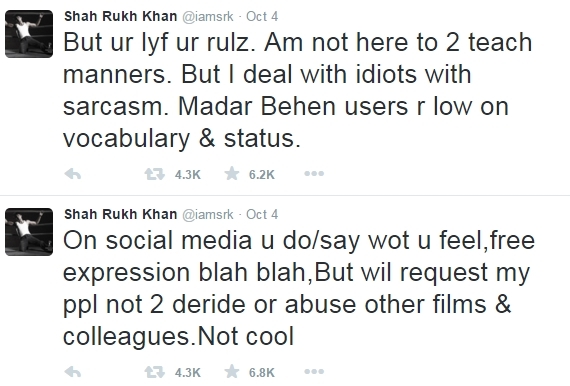 SRK, may you live for a thousand more years and keep tweeting and sharing your words of wisdom with us.